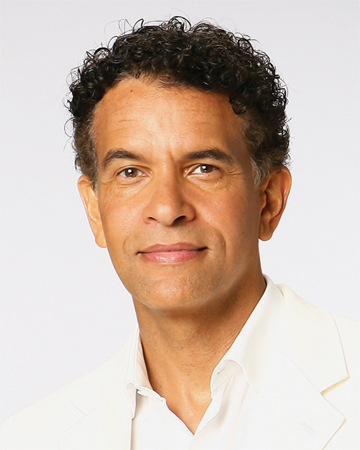 Brian Stokes Mitchell will be BYU Spectacular’s honored performer this Oct. 6 and 7. Known for his rich baritone voice, Tony Award winner Brian Stokes Mitchell will steal the show at BYU this Homecoming. Baritone sensation Brian Stokes Mitchell, dubbed “the last leading man” by the New York Times, won a Tony Award for best actor in a Broadway revival of Kiss Me Kate. He counts a seven-year stint onTrapper John, M.D. among his many television and movie credits. He performed with the Mormon Tabernacle Choir in its 2009 Christmas concert. And Mitchell will wrap his breathtaking baritone voice around the Marriott Center in October when he headlines BYU Spectacular in a show patterned after the 2011 Homecoming theme, Hold High the Torch. Mitchell typically brings a sense of delight to his concerts; his joie de vivre is a trademark. He will perform two solos at Spectacular: “Wheels of a Dream” and “The Impossible Dream.” He will also perform several numbers with BYU performing groups, including “We Are Family” and “Through Heaven’s Eyes” from The Prince of Egypt. Mitchell took special pleasure earlier this year when he learned his rendition of “Through Heaven’s Eyes” was the wake-up call for the crew of the February 2011 space shuttle Discovery. This was one time when the singer’s voice was literally out of this world. Also featured will be five of BYU’s premier student performing groups: Philharmonic Orchestra, Men’s Chorus, Young Ambassadors, International Folk Dance Ensemble, and Living Legends. Ninety-five of the university’s most talented musicians perform in the Philharmonic Orchestra, bringing great symphonic works to life. The Men’s Chorus, America’s largest collegiate male choral group, is known for engaging and entertaining musical performances. The Young Ambassadors energetically combine song and dance in 56 nations of the world. The International Folk Dance Ensemble represents BYU and the United States at folk dance festivals worldwide. Living Legends’ talented descendants of Native America, Polynesia, and Latin America offer dynamic shows blending tradition and contemporary music. Buy tickets online at byu.tickets.com or by calling 1-800-322-BYU1.